Ground Penetrating Radar Systems was recently called to a project Corna Kokosing in Columbus, Ohio near German Village. 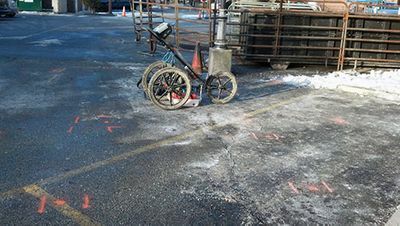 The scope of work was to scan a section of an asphalt parking lot locating and mapping out a water line and other underground utility lines before excavating to tap into the existing water line that needed to be identified. There were several utility lines including the water line that were marked out using GPR that would have been struck during excavating. GPRS, LLC. was able to get to the job in a timely matter to map out the utilities so the project could stay on time. GPR is an accurate and effective way of locating underground utility lines, underground storage tanks, and voids.